If you are involved in a car accident in Maryland, you must prove that another party was to blame for the crash to recover compensation for your damages. Passengers are typically not to blame for a car accident because they had no control over the operation of the vehicle. In other words, you should be able to recover compensation for your injuries and damages from the at-fault party or parties if you were injured as a passenger in a vehicle. However, when a rideshare program like Uber or Lyft is involved, does that change how you file an accident claim? When an Uber or Lyft Accident is Caused by Another Driver? When another driver causes the rideshare accident, your injury claim will typically be against the other driver. Unless the Uber or Lyft driver was negligent in some way, you might not have a claim against the rideshare driver or the rideshare company. However, you should always consult with a Baltimore rideshare accident attorney. The insurance companies for all parties involved in the crash may try to blame each other’s insured parties to avoid paying injury claims. Therefore, you need an attorney with experience handling Uber and Lyft accident claims to review your case. You may have multiple claims against several parties that could result in additional compensation that might not be available from the other driver. Jason A. Plotkin has instructed other attorneys in a National Continuing Legal Education course regarding Uber & Lyft claims. Before accepting the conclusion of an insurance adjuster or attorney for one of the parties involved in the crash, schedule a free consultation with a member of the Pinder Plotkin Legal Team to ensure you are receiving the maximum compensation available for your Uber or Lyft accident claim. What Happens When the Lyft or Uber Driver is Responsible for the Crash? When the rideshare driver is responsible for causing your injury, the claims process can be a bit more complex. Drivers for Lyft and Uber must carry at least the minimum liability insurance amount required under Maryland law (30/60/15). When an Uber or Lyft driver is not “on the clock” as a rideshare driver, his or her personal automobile liability insurance should apply if the driver causes an accident. However, private automobile insurance does not cover passenger injuries in a Lyft or Uber accident. Personal insurance policies exclude coverage for commercial purposes. Therefore, unless the driver carries commercial insurance that specifically covers rideshare accidents, the driver’s insurance coverage typically does not apply to Lyft and Uber passengers. However, the rideshare company’s insurance coverage should apply. 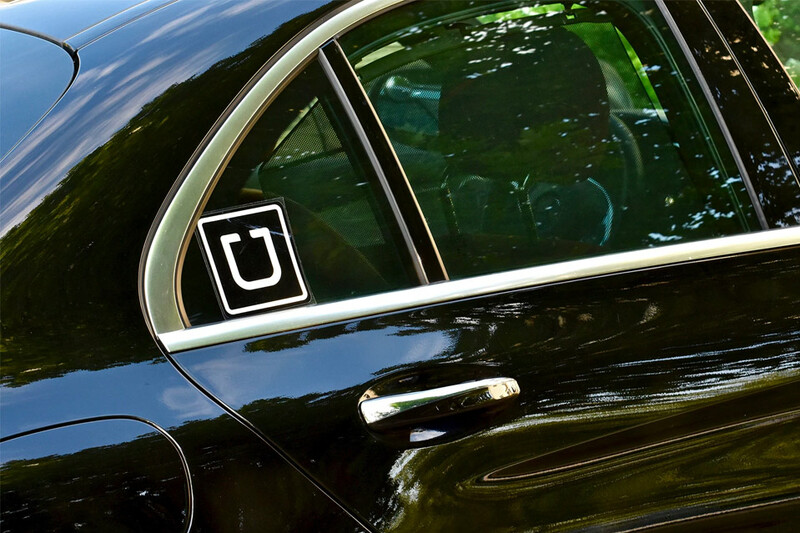 Uber and Lyft have insurance coverage that covers their independent rideshare drivers in Maryland. The insurance coverage does not apply when the driver is off duty. However, from the moment the driver goes on duty until he goes off duty, the company’s insurance coverage is in effect. In most cases, a driver goes “on duty” when he accepts a ride until he drops the passenger off at the passenger’s destination. Therefore, if you are injured as a passenger in an Uber or Lyft accident, your claim will be against the rideshare company if the driver caused the accident. Even though Uber and Lyft may have insurance coverage for accidents involving their independent drivers, filing an insurance claim with the provider does not guarantee payment. As with any vehicle accident, you must prove the driver was responsible for causing the accident. Depending on the circumstances of the crash, both drivers could be partially responsible for the crash, or you could have another third party involved. The insurance provider for Uber or Lyft will not pay a claim if it believes another company or party may be liable. Therefore, one of the first things that you must do is determine the cause of the accident and who contributed to the cause of the crash. This information allows you to file injury claims against the liable party or parties. A Baltimore Lyft and Uber accident attorney can help you by investigating to determine cause, fault, and liability. In addition, an attorney who has experience handling Lyft and Uber accident claims is better equipped to handle the complexities and challenges of filing accident claims against Uber or Lyft. As a Lyft or Uber passenger, you deserve to be compensated for your injuries and damages, regardless of who caused the accident. You should not be caught in a battle between insurance providers, but that is exactly what might happen. The Pinder Plotkin Legal Team can help. Contact Pinder Plotkin LLC by calling 410-661-9440 to schedule your free consultation with a Baltimore Uber and Lyft accident attorney.